Kauffmann goes on to draw some political parallels; but today it is this description of a moment in the year that interests me. We need more investment in energy efficiency, especially in buildings, and Mr Wilson’s arguments are spot-on in this context. Will these ideas be picked up in the UK? 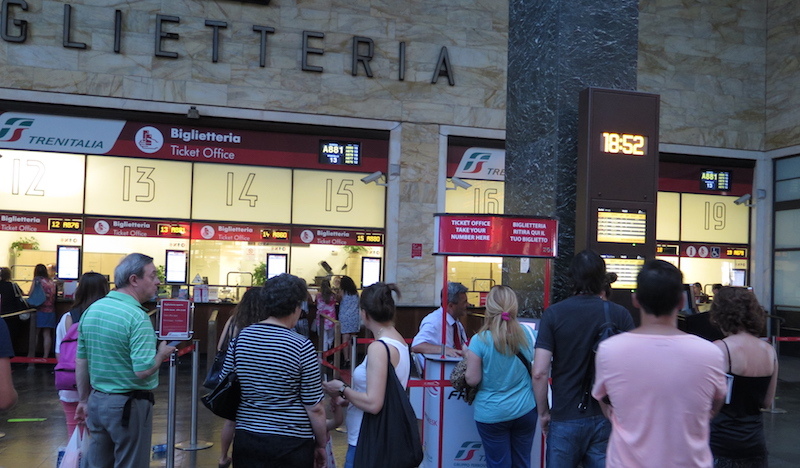 (2) A couple of “alternative” counters allowing you to “skip the line” for €2 or €3 more. [For Pierre Rosanvallon, in his new book Le Bon Gouvernement], L’élection, directe ou indirecte, du chef de l’éxecutif… a accentué le “divorce, générateur de déception, entre le type de qualités qui font le bon candidat” (séduction, simplification, promesses, plasticité) “et celles qui sont requises pour gouverner effectivement” (capacité de choix, de décision, de négociation et de maîtrise des complexités). We were in Belarus a couple of weeks ago and I’ve been sorting out photos. (1) Its existence, making train fares more transparent than in other systems. (2) The extraordinary cheapness of the fares. While we were there, the Belarus ruble was about 17000 to the euro (today it is nearly 20000). 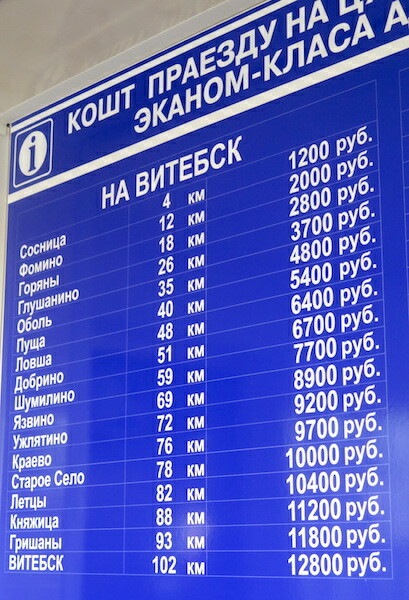 The crows-flight cost of our journey to Vitebsk was 0,8 eurocents/km. This is 40 times less than the average fare I pay (32 eurocents/km) and 6 times less than the previous cheapest (a bus from Lourdes to Gavarnie in France, in the summer of 2013). (3) On the one hand there is no differentiation by ticket class, time of day etc. On the other hand there is a strong differentiation by distance. The fare per km for a journey of 102 km is 42% of the fare per km for a journey of 4 km. Presumably, in the Belarussian system these are purely regulatory rather than commercial decisions. One sees similar strong differentiation by distance in many urban transport systems and some regional ones (eg Stockholm). I’m walking with friends in the Dolomites – the first time we’ve been here. We’ve been going to the Pyrenees for quite a few years, staying in refuges. There, they have a standard price (more if you take the evening meal). Here, you are offered the option of a dormitory or a more expensive private room. At Refuge Averau, yesterday, there was even more differentiation: €60 for a bed in a 10-person room, €63 in a 6-person room (both times with evening meal, which was excellent). What leads to some economic operators applying more price differentiation than others? By nightfall, when we stopped at a motel in Indiana, we had all but lost track of our histories and futures – it seemed we had always been driving across a vast table of farmland and would always continue to do so. That is both the horror and the marvel of long travel. You lose track of your life with astonishing speed. An interstellar traveller would be not quite identifiable as an earthling within two weeks; after six months in deep space he or she might as well not return to earth at all.